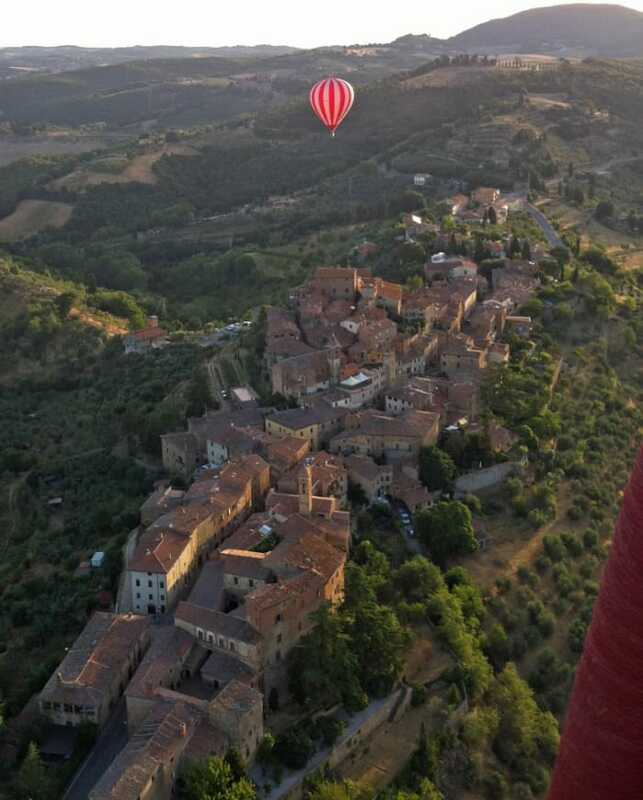 Early morning take off with the hot air balloon from the Avignonesi winery. This is a flight over the winery and vineyards with landing in the surrounding countryside followed by a, tour of the vineyards and cellars and a brunch prepared by the winery chefs and paired with 4 premium wines and the renowned Avignonesi Vin Santo. Coming from Rome or Florence on the Autostrada A1 (E35), exit at Valdichiana – Betolle – Sinalunga and turn right after paying the toll, following signs to Perugia. Join the “Superstrada” towards Perugia and carry on for 12-13 Km. Then take the Cortona exit and immediately after the exit head towards Montepulciano. Carry on straight for 4-5 Km. Pass straight through a large junction towards Valiano. 200-300m after the junction there will be a sign for Avignonesi to turn left onto a dirt road. After 300-400m Avignonesi will be on your right side. You should consider using a taxi on the day of your flight since the excellent wine is plentiful at the brunch. 3rd Services can also arrange private transfers from a number of locations as far away as Florence. Please contact them directly for rates on phone +39 0577630042 or +39 3381868798.